Woof! Marlo here! 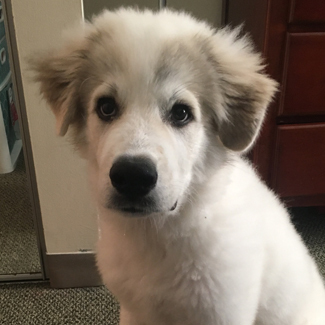 I am just a fuzzy pup about 5 months old and 35 lbs. I had a girl of my own but she was in school and just not able to take care of me. 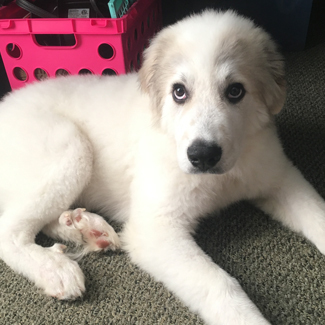 GPRA promised her that I would find my fur-ever home and learn all kinds of great dog stuff. I am good in a crate, tell my foster family when I need to go outside and am working on new manners and doggies skills every day. I love to play and got to even take a walk with my family and play with other dogs. If you are looking for a young pup, just let GPRA know at info@greatpyratlanta.com.